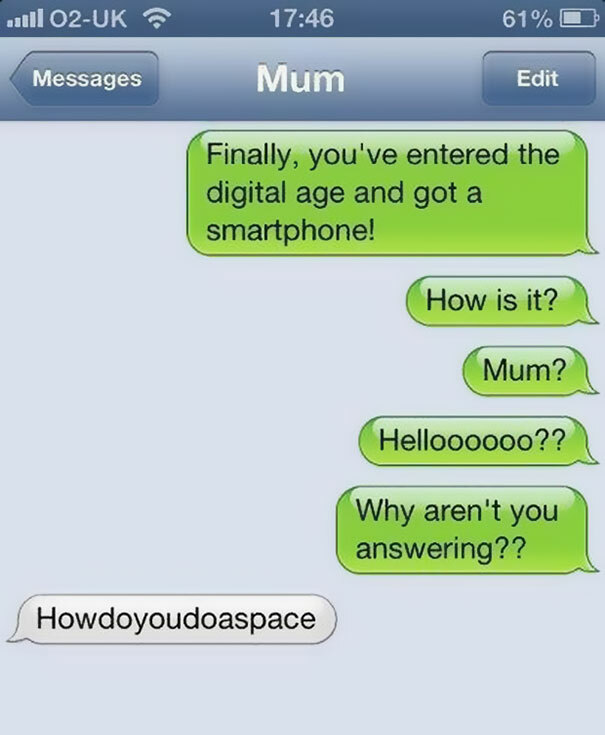 Funniest Reasons Why Parents Shouldn't Text! 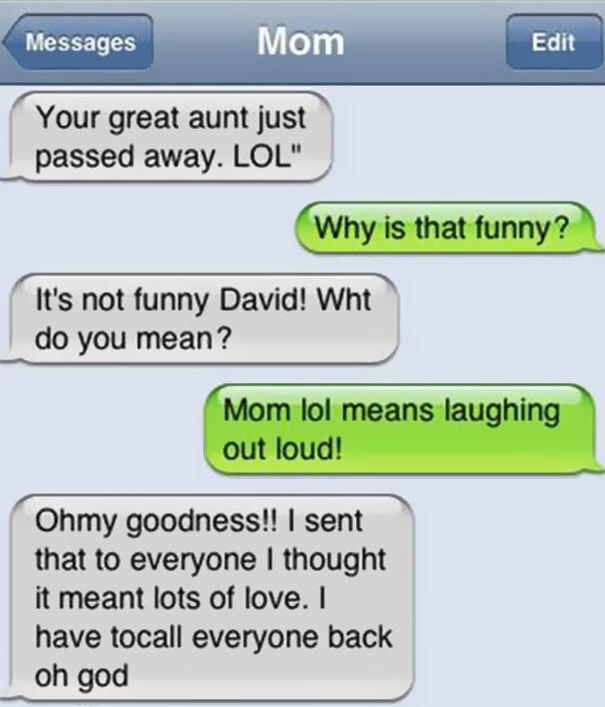 I’m sure the dead aunt would be laughing at this one, she may never rest in peace now! I need to know who taught you this ASAP! 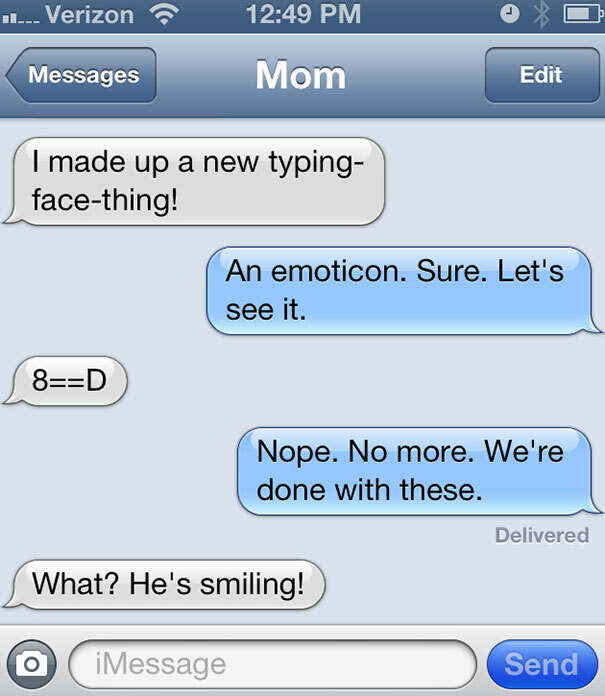 Remember never let your mom learn how to make emoticons, she might come up with something really shocking that will scar you for life! The kids got a point! 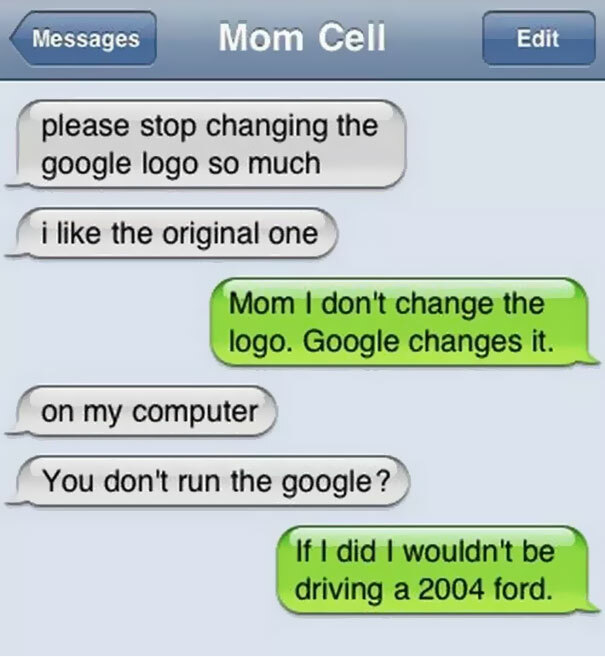 No mom, I wouldn’t be driving a 2004 Ford, I would be driving a Bentley and would never change the google logo! A long way from the digital world, are you? 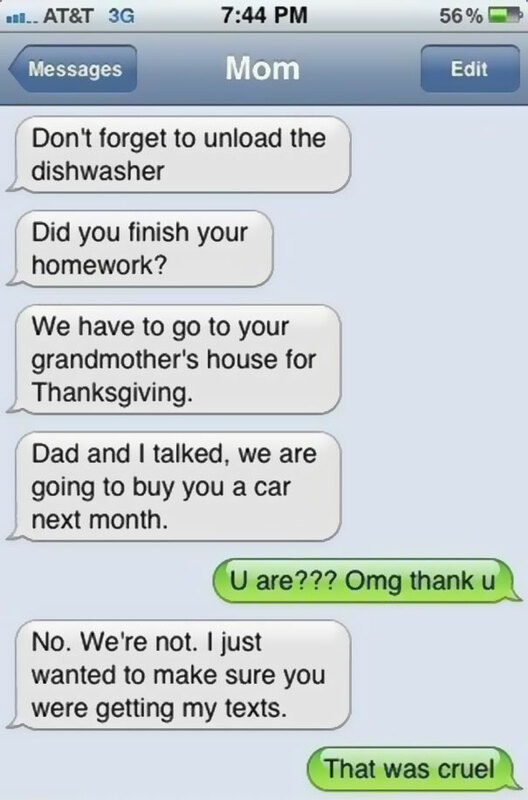 This reminds me of the time when my mom first drove a car! She still didn’t know how to keep space between the two cars! When you give an open challenge to your mom to make jokes about you and the first joke she makes, hurts you the most! 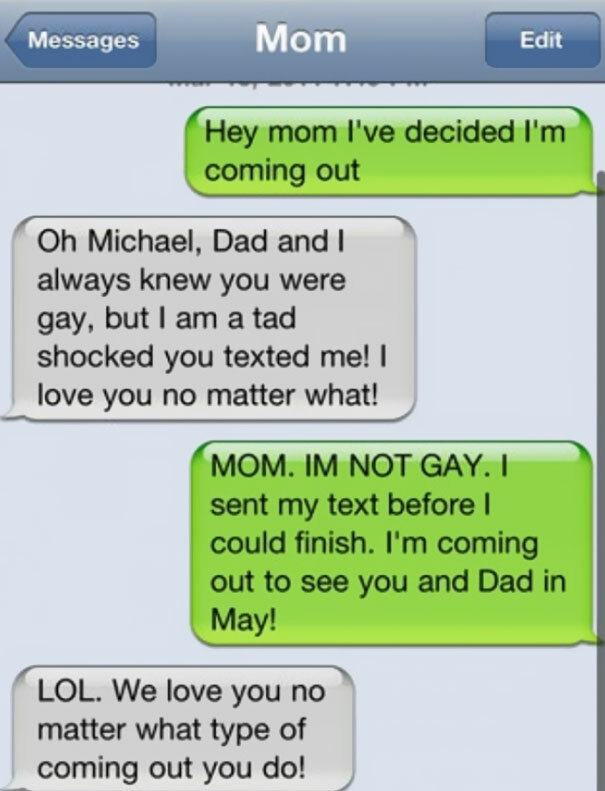 You ‘came out’ the wrong way! I bet now he is never coming out anywhere ever again until he finds a girlfriend and proves his innocence! 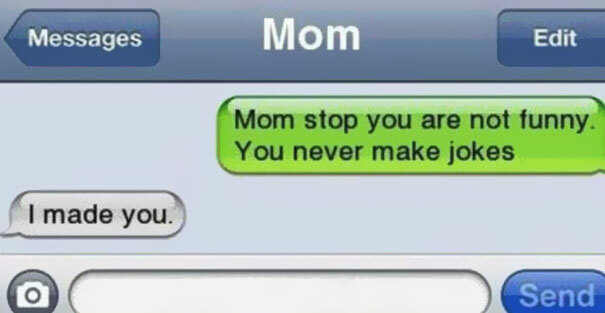 When you try to ignore your mom’s texts, always remember she is your mother! There is a reason why dad can’t ignore her for too long! Pickup Lines That Are So Bad But Are Funny As Hell! 90 Days Fiance Star Got Arrested For Disgusting Charges!